From London: Take M20 to Channel Tunnel , or take A2/M2 toward Dover, turning onto A258 a mile after the Whitfield roundabout, signposted Deal. From the Channel Tunnel: Take A20 to Dover Eastern Docks. From Dover Eastern Docks: Take A2 toward London, turn onto A258 signposted Deal. Continue on A258 through Ringwould and Walmer all the way in to Deal. Keep the seafront on your right. After passing Deal Castle take one of the right turnings up on to the seafront. 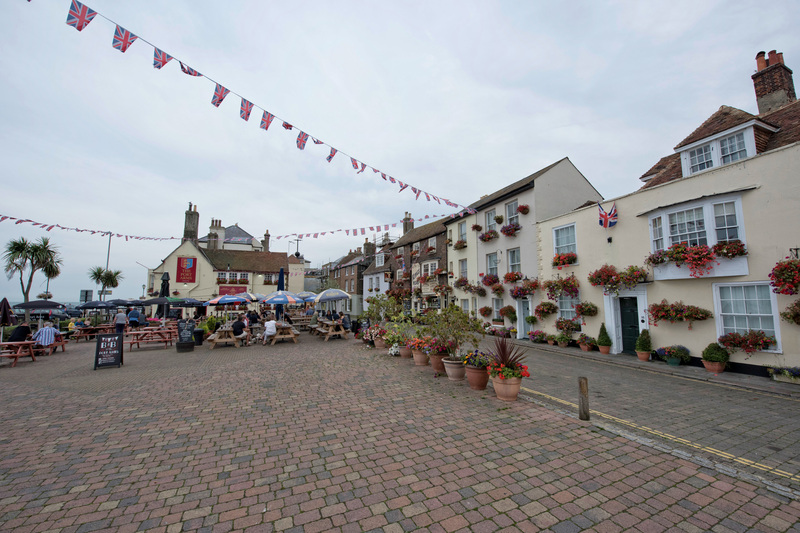 Turn left and a short way along the seafront the King’s Head and Channel View Guest House can be found nearby to Deal Pier on Beach Street. Trains: from London Victoria and London Charing Cross come to Dover. The Charing Cross trains, which call at Ashford for Eurostar connections, continue to Deal where there is a permanent Taxi rank.